The newest update to tinyCam brings a huge list of new features. There's streaming of audio files to camera speakers (perfect for baby monitoring), picture-in-picture mode for Android TV (only on 7.0+), a new guest account for the included web server, Nest/Dropcam support, Tasker actions, and more. 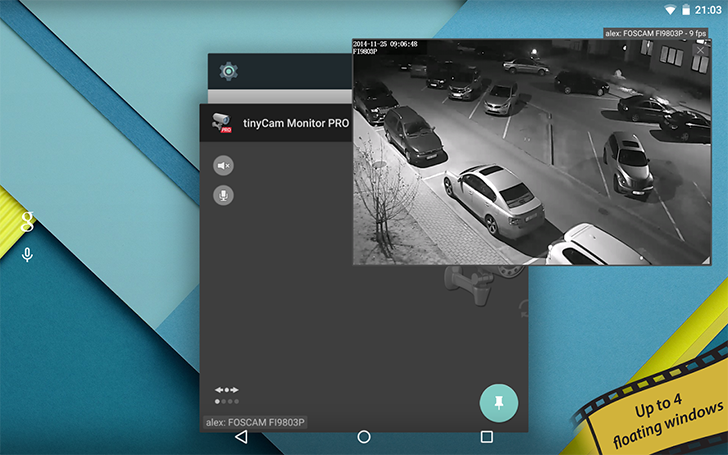 Virtually every use-case you can imagine for remote cameras, from baby monitoring to security cams, can be likely handled by tinyCam. As mentioned before, the Pro version is only $1.99 until September 30, and there is a free version with limited features/ads for you to test your cameras with before buying. Creating your very own NSA has never been easier!